Vagrant is a command-line tool to create virtual environments using a scripting language, i.e. with Vagrant you can create and configure virtual machines by using a text editor. The use of a text-file for configuration makes it easy to document the configuration, to work in collaboration and to store the configuration in a version control system. Vagrant makes it easy for developers to simulate a production environment on their local development machines. Vagrant supports different providers out-of-the-box, such as VirtualBox and Hyper-V, others, such as VMWare, Docker, Google Cloud Platform or Amazon Webservices via plugins. In this short tutorial, we will create a script to set-up two virtual machines, each with a different configuration to run them in a Virtual Box. We will later configure these two machines using Ansible to set-up a Jenkins server and an Integration environment. 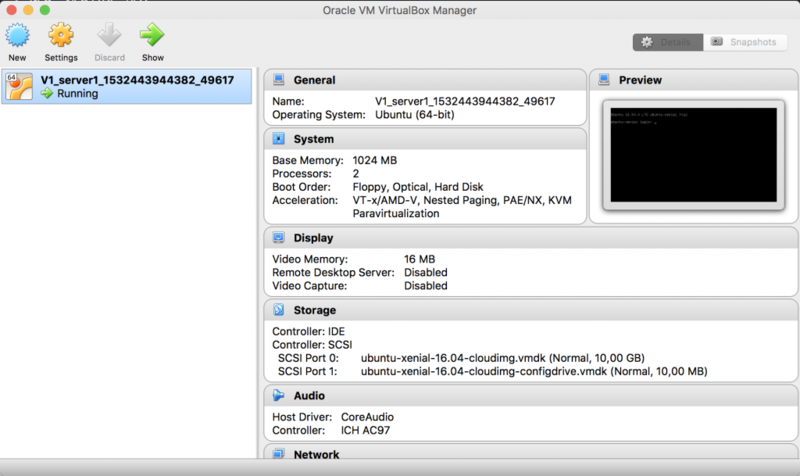 Before we start, please install VirtualBox on your local machine. Subsequently, create a folder for the Vagrant configuration (I created a folder in/vagrant my home directory). Install Vagrant (on my Mac I use brew cask install vagrant). The (“2”) is the Vagrant version (the current version number is 2). The name encapsulated by the vertical lines is the name of the configuration (here “config”). web.vm.box = "ubuntu/xenial64" defines the so-called box that we want to install on our Virtual Machine (VirtualBox), in our case a basic Ubuntu Linux. A box is basically a package format for the different environments (from different Linux distributions to fully provisioned environments, e.g. Jenkins or ELK stack). You will find these boxes in the Vagrant Cloud. in the command line in the directory that contains the Vagrantfile. Usually, when you run a vagrant-command, Vagrant will climb up the directory tree and runs the first Vagrantfile it finds. It can take a couple of minutes for the box (ubuntu/xenial64) to be downloaded, set-up and run. Voilà, now you should have an Ubuntu Linux in VirtualBox up and running. The virtual machine configuration is located in .vagrant in your /vagrant. 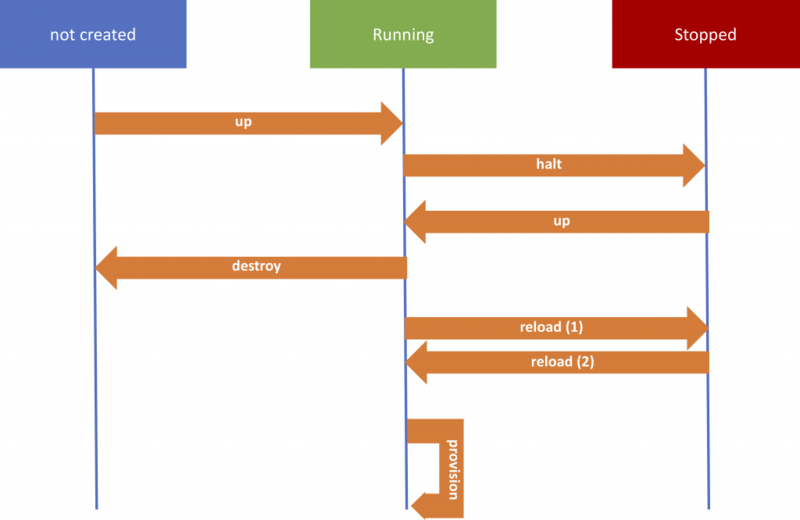 vagrant reload – to restart the environment and applying the settings in the Vagrantfile again, without destroying the Virtual Machine. For more on Vagrant commands use vagrant --help or consult the documentation. Now we will use a Vagrantfile to create two Virtual Machines that we will later use to install Jenkins and SonarQube. I will first provide the Vagrantfile and go into more detail below. web.vm.provision "file", source: "~/.ssh/id_rsa.pub", destination: "~/.ssh/authorized_keys"
web.vm.provision "shell", inline: "which python || sudo apt -y install python"
We can configure our provider (VirtualBox) with specific parameters, in this case, the memory and the number of CPUs. More on the configuration of the different providers can be found in the Vagrant documentation. web.vm.network "public_network", bridge: "en0: Wi-Fi (AirPort)"
Some providers, such as VirtualBox, can be run in a closed environment that is not accessible from the machine it is running on. Port Forwarding enables you to create rules to forward traffic from the host machine to the VirtualMachine. For more about Network configuration, please consult the Vagrant documentation. Provisioning means to configure the environments via shell scripts or configuration management tools such as Chef or Ansible. We will only do a basic configuration here. As I will use Ansible for provisioning the machine, Python has to be installed. You can also call other provisioning tools, such as Ansible Playbooks directly from the Vagrantfile. Most of the Vagrant boxes come with two users – root and vagrant (password: vagrant). You can log into a box by using vagrant ssh [machine-name]. You can omit this when overwriting the ~/.ssh/authorized_keys file with a new file that includes the public key of your host machine. You then can log into the machine with ssh vagrant@[machine-url] -p [port]. Although not used in the example, you are able to share files between your Virtual Machine and your local environment. This allows you e.g. to store the configuration on your local machine to easily and quickly reconfigure the software running on your remote machines without connection the server via ssh. Vagrant is an easy way to design simple infrastructure as code, mainly used in development environments, e.g. you cannot design a large infrastructure with several components spanning different networks. In the latter case, I recommend using Terraform or Apache Mesos. I use Vagrant mainly for testing changes of a configuration before I roll it out in production, e.g. I use a local Jenkins VM, running with the same (virtual) hardware configuration as in production on my local machine. Hence, I test changes of the build pipeline or the configuration of plugins locally before rolling them out on the production system. I also use it for testing new software before I role it out in production. Tools that are in a way similar to Vagrant (for setting up infrastructure as code for a development environment) are Nanobox or Docker. Of course, this was only a short tutorial that should provide you with the basics to set-up a virtual machine in Vagrant. For further reading, I recommend the Vagrant Documentation.